I think you need to treat yourself. One year marks a significant accomplishment. Maybe you need a slice of good cheesecake. Well, it just so happens I’ll be at Morton’s tonight for a meeting. Theirs is pretty darn good. Ricky Nelson??!!! I haven’t thought about him in years. Interesting how I jumped on that. Mostly, Congrats on an excellent job. Thanks! I’m slightly embarrassed to admit that I had Garden Party on 45.
good work. blogging is a very interesting process for sure! And to you! I recall that we started about the same time. How about writing a blog on the use of couch, sofa, divan? Great idea. I’ve also heard Chesterfield. Thanks. Monica, I love Word Nymph. I have to admit I don’t read it EVERY day, but I do often and it’s always a wonderful respite in what is often a pretty gnarly day. Don’t worry about pleasing everyone – or anyone for that matter. You do this for you, don’t you? We’re all just lucky to be along for the ride! Congratulations on this wonderful milestone. Congratulations and Happy Birthday to your blog, that may call for two pieces of cake! I’ve enjoyed the year of Word Nymph and learned many things, those related to grammar are worth a review! One suggestion in your topic category would be to put that topic in so we can refer to the rules again in moments of panic! Thank you for funny, informative and lively blogs that are not too long and not too short, just rightt! No oxford commas were harmed during the writing of this comment. Thanks, Emily and that’s a good suggestion. Even on matters outside the language realm, I feel a pressing need to index the individual topics. Sometimes I have to Google myself to remember whether or not I’ve covered a topic before. I can say that, currently, posts related to language and grammar are filed under the Category, “All Things Wordish,” but not by individual topic under there. Until I get this figured out, don’t hesitate to ask in panic. Happy Blogging Birthday! One thing that I keep hearing about blogs is that most people burn out within a year of starting. You are not one of them! YAY! Wow. That was a lot of exclamation points. First, congratulations on an excellent and entertaining endeavor. We have all benefitted this past year from your advice and humor. I have noticed that, over time, I tend not to comment as much because I feel satisfied and fulfilled by your blog, and the comments of others. That is a credit to your success. Being retired, my vote is to keep the same schedule, Monday through Saturday; when I don’t get an email, I know it’s Sunday. Congratulations! 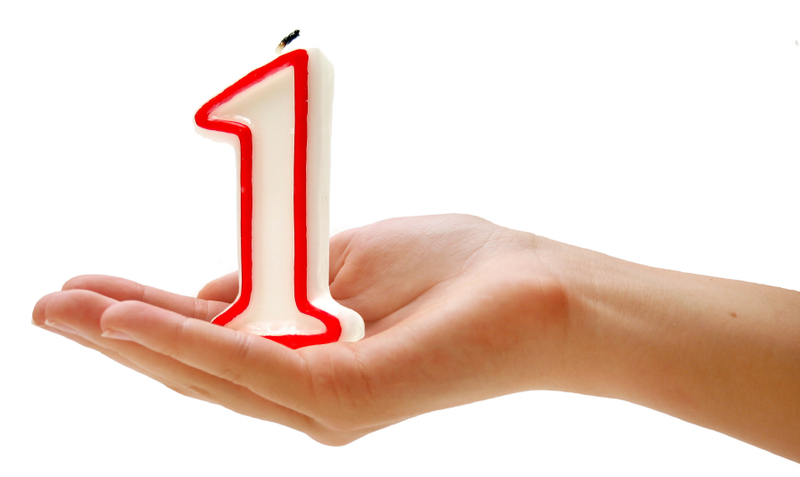 Making it through the first year is a major accomplishment, especially as so few blogs make it past the first post. I read every day–even if I comment infrequently–and trust, no DEMAND that you keep up the good work! Happy wordish anniversary! I don’t have time to read daily, but it is a great treat to catch up on the weekends, so my vote is to keep them coming. I use your posts many ways: to teach from, as a catalyst to reminisce, and to discover more about you — all enjoyed. Thank you, Olga. Yes, freely and fast is how I’d like to do it. It is not always the way it has been, but is definitely something to wish for.